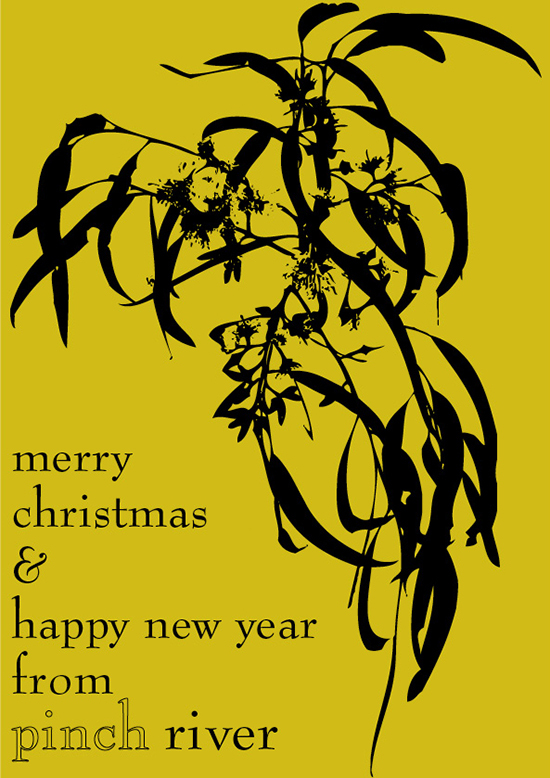 Pinch River - hand printed eco textiles and more...: Seasons greetings! Wishing you all a fantastic Christmas and New Year, spent doing what you love and makes you happy. I'm around over the holiday period with my Etsy shop remaining open but I have definitely wound down after a hectic schedule of markets, study, interning and work. I'm currently working on taming a wild and overgrown garden and am so happy to finally have the time to be doing this... gardening and being outdoors in general is where I am in my element. I'll also be able to finally get back to my neglected garden diary (with a whole new garden) and that's where you will be likely to find me over the coming weeks before I turn my focus back to Pinch River for 2015.